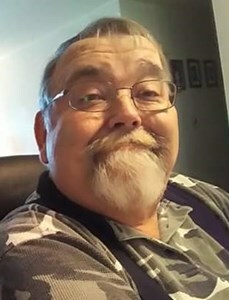 David R. Skorczewski, age 65, of Kewaunee, passed away peacefully, Friday, March 29, 2019 at Odd Fellow Home, Green Bay. He was born May 16, 1953 in St. Paul, MN, son of the late Richard and Edna (Roach) Skorczewski. David's family relocated to the Green Bay area when David was in his teens. He attended Preble High School, where he met his wife, Julie Tilkens. David and Julie were married for 28 years and were blessed with 3 children. He was employed as a mechanic, welder and pipe fitter for various companies and later became a self-taught I.T. fix-it man, becoming the official computer expert in the Kewaunee area. David was an avid outdoorsman and loved to hunt and fish. He was also an avid sports fan and enjoyed watching every type of sport. David loved to be outside and liked to garden. His greatest joy was spending time with his 7 grandsons. David is survived by his 3 children: Jennifer (Eric) Kinjerski, Paul Skorczewski and Sam (Debbie) Skorczewski; 7 grandchildren: Gavin, Corbin, Kadin, Eyan, Keller, Brennen and Owen and 5 siblings: Lynn Pasco, Nancy Parise, Terri (Sheldon) Quarterer, Ashley Fritz, Joe Creapeau. He is further survived by his former wife, Julie Skorczewski; many nieces, nephews, other relatives and friends. A gathering of family and friends will be held at Newcomer-Green Bay Chapel (340 S. Monroe Ave., Green Bay), Saturday, April 13, 2019 from 2 to 4PM. A reception will follow at Lake Effects in Kewaunee. Add your memories to the guest book of David Skorczewski. Rest In Peace. I am so thankful for having the pleasure to have met you. Many great memories of David. He was a one man show for keeping my car running and fixing my stereo equipment. Sad that we lost touch a few years after high school. My sincere condolences to the family, loved ones and friends of David. RIP Dave he fixed many electrical things for us. Loved shaking dice with him at Lake Effects till we meet again my friend.